013 – What Clay Do You Use? Welcome to episode 13. Now we are getting down to the nuts and bolts. Or should I say the alumina and silica? Because this episode is all about clay. 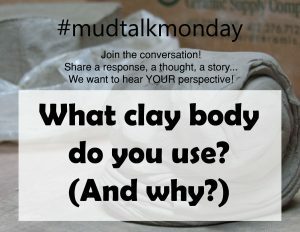 What clay do you use and why do you use it? There was a lot of discussion on this topic which is unsurprising. If you have a bunch of people that are passionate about clay, one of the best topics to talk about is probably clay! Hopefully this episode will give you some things to think about if you want to try a new clay or just need a change. And remember, if there is something you want to remember or explore, you can find the show notes for this episode, and every episode, at expertclay.com. Just click on “podcast” in the menu and find the right episode. One cool thing about the show notes is that all the names are actually links to the social media account of the person that left the comment so you can get in touch with somebody if you have questions or want to start a secret bmix fanclub or something. So let’s get to the discussion. Most of the comments are grouped by the manufacturer of the clays mentioned. I saved a few of my favorite responses for the end. I’ll also share 5 things to consider when choosing a clay. Elanpottery Standard 182 I love the white canvas it provides while still being sturdy for functional ware and easy to throw with. Whimandvigor Love Standard’s 153. It’s an absolute workhorse: works for throwing and handbuilding, fires beautifully, reclaims well. Stiff.clay.studio I flip flop between Standard 181 and Loafers Glory. Both take glaze like a dream and are delightful to throw with. I’ve even accidentally mixed them together in a slop bucket and the reclaim was fabulous too! SharonMerchantivy My favorite is Standard 378 because of the richness the color and the speckles add to my glazes after firing. Unfortunately, I don’t have a local supplier now that I’ve moved to MS and am about to start the search for a different clay. Mudandyarn I’m a HUGE fan of Laguna Clay’s speckled stoneware! I just love letting a good chunk of the natural clay show on pots so you can feel the texture and see the beauty of it! HomemadeTastesBetterOnHandmade Was using primarily Laguna BMix/Wood, but since our studio has become a Laguna Clay distributor, it’s been hard to resist trying other clays. Currently using Laguna/Miller 850 in production, and testing out darker clays, too. Also trying BMix/grog for some wood ash firings. Claybylaura I use a low fire white Laguna Clay right now. I like playing with Amaco underglaze and Glaze combinations on the textured surface of my pieces with a ‘bright’ color palette. These all seem to play nice together. ( I switched from a different low fire clay about a year ago when I started having problems with glaze popping off a finished piece — even long after flring). Cedarhillchick Cone 10 B-Mix. It is good for hand building, looks great fired in a gas kiln or wood fired kiln. Also like Ann’s wood & soda clay from NM Clay. Laurieandwilliam ^6 B mix, red clay, Speckled Buff. All laguna, beautiful throwing properties. Those 3 cover pretty much any mood I’m in! Gnome_island_studios My all time favorite sculpture clay was Coconut Crackle from #leslieceramics but they discontinued it. Sad. So now BMix and Cassius Basaltic. Fiddlequick The community studio i use just discontinued what i use (B Clay) so now trying Dover with sand. We’ll see. Pathwaypottery B mix, cone 5. I like how it fires almost white. It is easy and consistent. Studio4art We work with children in a hands on art studio. We use b-mix 🔺5. It is smooth, and easy to manipulate for our creators as young as 2, and the white body takes underglazes well. ChadanTomlinCreations I love working with cone 5 bmix. I just love how smooth and buttery is throws. I haven’t really experimented with many other clay though. But I don’t see myself switching from bmix any time soon. Muddypawspottery I use two different clays …a white one that is a great throwing body called wh8 from New Mexico clay and a black clay called chocolate that they started to make after I sent them samples of a discontinued clay I loved and needed. It’s so smooth and once I add my slip I can draw on these pieces like I do with my white clay. Both stand up well to the dry Arizona climate and attachments do esp well with the wh8. I’ve used other companies clay but New Mexico clay is the best and they have superior customer service as well. TheHipsterLemon Love the beautiful black body provided by aardvark’s Cassius, absolutely gorgeous clay body. Annameiceramics Coleman porcelain cone 10 reduction. I like how celadon glazes turn beautifully. Mas.paloma Coleman 🔺10 (fired at 🔺6), Cassius Ballistic (favorite, but stains too much – anyone have any tips for removing/finger guards?) and trying out Nara5 tomorrow! kristihillstudiosI love dark, iron rich clay bodies. Right now my two favorites are Ellen Buff and Brownstone from Highwater. Madmadepottery I have tried 7 of Highwater clays. Currently I’m obsessed with orange stone and half and half because they have a firing range of cone 6-10. I can fire them in my electric kiln (cone 6) at home, or at a local art school in the gas reduction kiln (cone 10) I guess I like having options! I used to use speckled brownstone but was cautioned that the manganese particles could be bad for your health. Merskata Audrey Blackman porcelain, it is good for throwing. Stonecropstudio Fairly new to pottery world. Am using P300 cone 6 “porcelain” produced by Plainsman in Medicine Hat, Alberta. Fine textured and fluid to throw, fires to a lovely white that takes underglaze colours brilliantly. What would I change? It’s expansion rate is pretty high; I’m always anxious about possible crazing in glazes. Ceramica_carol_tsai Here in Brazil this is a big drama. Clay body offered here have low quality. Ketner I love our studio recycle. It is such a beautiful color and the grog causes the glaze to be speckled. It is also pretty easy to throw. I’d change the overall regularity. The recycle can sometimes have chunks and lumps in it. Mike W Since i have chosen to do “Alternative Firing”.. My choice of clay is White Stoneware. The clay is great for Raku, Horsehair, Blackware, Saggar and Barrel Fired ceramics. Maryan P Right now I use a cone 6-9 white stoneware paper clay from Spain. It’s buttery, strong, and very forgiving. Fires beautifully. Shows color well. Easy to mend if mishaps occur. Cathy G I have been making pottery and taking classes for a year and I have used hazelnut,brown,raku stoneware,b-mix,and porcelain. Most of these have been set by the teacher for the class, but I have chosen porcelain over other clay twice now. I love the way you can smooth and fold around,stretch to breaking and challenge it to behave and not crack. I hand build and I like to push limits. Here is my teapot at bisque. Noahkildoo_ceramics I like to use native Pennsylvania clay, I love the grit and sand of throwing natural clay. Marianwilliamspottery BRT for handbuilding- can’t fault it; white raku for sculptures; Lumina porcelain is the most amazing clay-a dream to throw! Ritalayman I’m new at pottery. The last clay I bought was a tan speckled. It’s beautiful but is hard to throw (at least for me). I plan on using porcelain next. Earthartam I use many different kinds, mostly from Georgie’s in Portland OR, because I like variety. LadyTokioBlue I love the red and white Clay’s from school (because I am still looking for a shop to buy clay from.) I like the red more actually, it stays hydrated longer and it is just smoother all around to wedge. Artbygretamichelle I’m a porcelain and stoneware gal. Mostly porcelain. It started out as a challenge accepted kind of thing. I read when I started out that porcelain was this diva clay which got my back up. Now however, we have come to love each other: the smoothness, the way it throws or handbuilds, the way it accepts surface treatments and glazes…beautiful. I use DL porcelain ^10 from potclays and Norma’s porcelain ^10 and frost porcelain ^6 from Laguna. Would love to try some Helios, Coleman or Limoge if I could get my hands on them. I would change the way frost cracks so easily and make it easily available here. Anna R I use a mix of clays depending on what I am making. Sculpture or functional and different firings. So stoneware,porcelain, raku and white or buff. Muddyhands789 I use a recipe that I formulated during undergrad. It is a white stoneware that has high grog & sand because I am heavy-handed while throwing. It also has Lincoln Fireclay in it for the possibility of atmospheric firings, and can is stable from ^6 – ^14. My clay body fires out bright white with dirty speckles of iron in an electric kiln, and blushes beautiful oranges & peaches in salt & wood kilns. I have the recipe sent to Laguna to be mixed & sent back in 50lb dry mix bags, so that all I have to do is add water. It’s perfect everytime! Thanks MuddyHands for this very detailed reply. This seems to be a brilliant option if you can make it work. Of course, developing your own clay recipe will probably take a lot of time and testing but you can get just the right characteristics. Another great idea to save time is to have someone else mix the clay for you. I bet shipping clay in dry powder form is much cheaper than shipping it moist but that means you have to take the time to add water yourself. So, just like choosing any commercial clay, there are plenty of things to consider. Maybe for some of you, this option is something that will fit your situation better than what you are doing now. Pottermiller There isn’t enough space on Instagram to answer that question. Currently working in 5 bodies because glazes do different things on different bodies….. it’s not a one size fits all solution. This is very true. Instead of trying new glazes, you could try a new clay and quite possibly double your color palette. Though for some, it’s tricky to use more than one clay body in a small space or with limited resources, it’s a lot of fun to try new clays. MudworksP.A. Sheffield Pottery mixes a clay for us here at MudWorks. We get it screened, and delivered in batches of five tons at a time. It is beige in color and works well for throwing and handbuilding. When I decided twenty plus years ago to open a studio that offered classes I made the decision to have only one clay type so as not to have scraps of different colors and cone temps being mixed together. I wanted to make functional pieces, so I chose a midrange beige and then developed my glazes to work with that clay. Haven’t changed my mind since, though I’ve been tempted to experiment with other clays! Til now, I’ve stuck with this. Thanks Mudworks for this response which shows some of the benefits to using just one clay. Tombhala I love all the clay! Throw any type at me and I will try it out:) from porcelain to grogzilla to super short local clay straight out the earth. The action is the reward! Give thanks everyone, every time you sit at the wheel it is a gift of experience, an opportunity to surrender to the clay, listen and learn. You are a potter and not a politician, and that is a good thing. Stay muddy! Stay muddy indeed, Tombhala! I love the attitude of experimentation. Sometimes I wish I could just try all the different clays. See how they throw, how my glazes change on each one, how they look in different firing environments. I also agree that it is a gift to sit at the wheel and work with clay. There are a lot less interesting things that you could be doing. Thank you for your inspiring comment. Here’s a random thought for today: As I was reading through the comments, one of my first thoughts was: “I wonder if I could guess what region of the country or world most of you are from, just based on the clay that you use?” It seems like clay is regional. I assume mostly because the cost of shipping compared to the cost of the actual product. It sounds like some of you use clay that comes from outside your home region and I’m sure clay companies keep extending their reach but I wonder what the actual numbers look like? Anyway, here at the end I’ll share a few things you can consider while choosing a clay body. And, a quick side note: I’m just about to record the last few videos for my first course at expert clay. The course is an introduction to making pottery for complete beginners and the next video will be about how to choose a clay. So this is the perfect fit. I use two clays by Amaco, Warm Brown Stoneware and Buff Stoneware. Here are a few things I considered while choosing a clay that works best for me. Make sure your glazes fit the clay or you could get a lot of glaze faults such as crazing and shivering. The two clays I use work well with almost all my glazes. If you make functional pots you don’t want the bare clay to absorb too much water. One thing I like about my clays is that they have low absorption rates when fired to the temperature that I fire to. Firing temperature is one of the variables that affects absorption and shrinkage so check with the manufacturer to see how your clay performs at your firing temperature. I prefer smooth clay with little or no texture most of the time. The warm brown stoneware has a little tooth to it but I don’t mind a little bit. You have to use a clay that fits your own process. If you do a lot of intricate carving, you probably don’t want a clay with a lot of texture. The color of the clay can really affect the look of glazes. One reason I like using a lighter and a darker clay is because it’s almost like I have twice as many glazes because most of them look different on the two different clays. Price can be an important factor for what clay you choose. 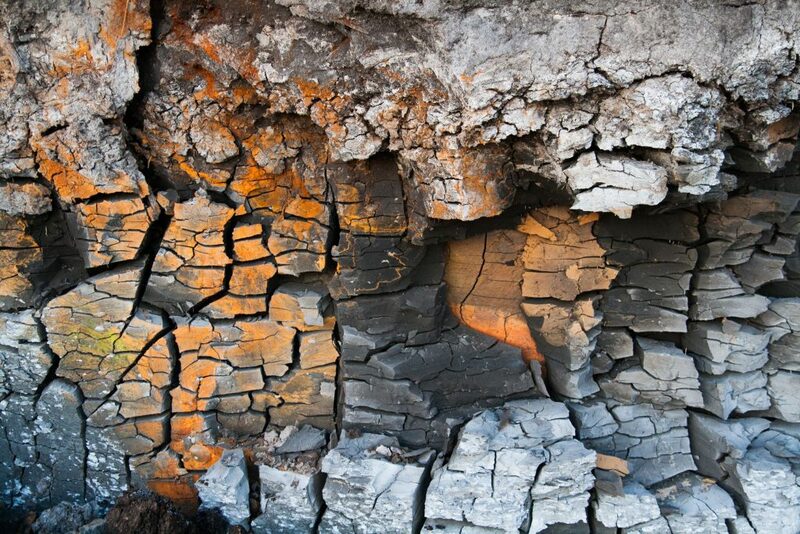 Generally, the more expensive clay is purer or made from more expensive materials. You can buy the most expensive clay but if it doesn’t fit you or your process, it isn’t going to help you at all. One other thing to consider is the price and convenience of getting the clay to your location. Moist clay can cost a lot to ship. One of the major reasons I use two amaco clays is because the local art store has them in stock 20 minutes away. It isn’t the highest quality clay, in fact, it’s marketed more toward schools, but it is convenient to get and pretty cheap. So, since it fits my process, I’m happy to use it for many different things. Alright, that concludes our episode. And remember if you want to leave a comment, you can go to expertclay.com/mtp and share your thoughts about this episode or any episode in the past or in the future. 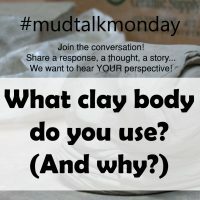 And look for new mudtalk monday topics you can participate in soon on the Pottery Making Info social media accounts. The topic for our next episode is: what advice would you give yourself if you could talk to yourself when you were a beginner. So until then, stay muddy.